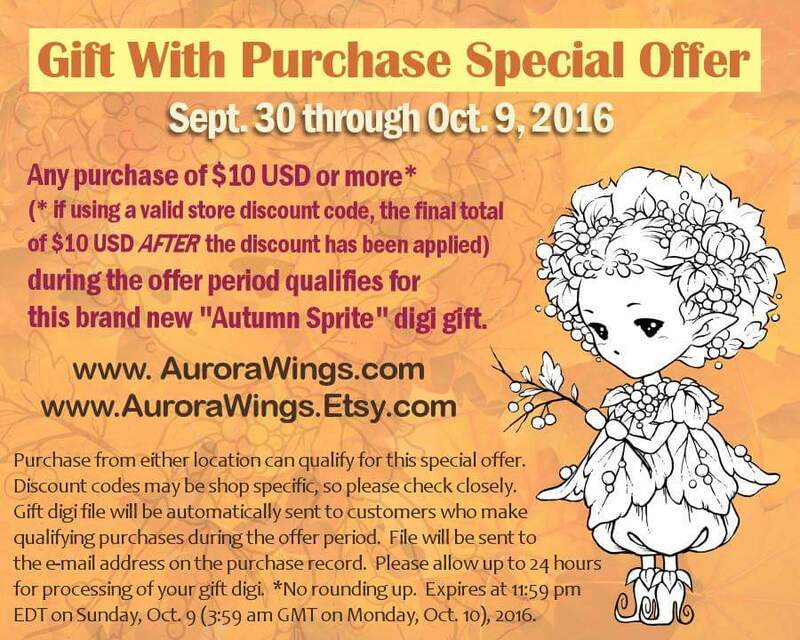 Today is a special new release showcase at Aurora Wings!! There are TWO new releases today. I am bringing you the new Jellyfish Sprite! I don't tend to gravitate to the sprites, though there are some that I really love (mostly the flowers! 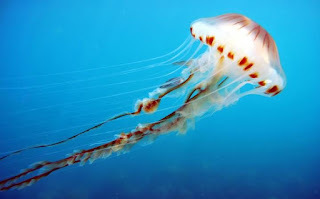 ), but this jellyfish grabbed me right away! I coloured the image with Copics (a list of colours is below). The paper is the Seascape digital paper from Michele R Design. You know I love her papers, and this one is no different. 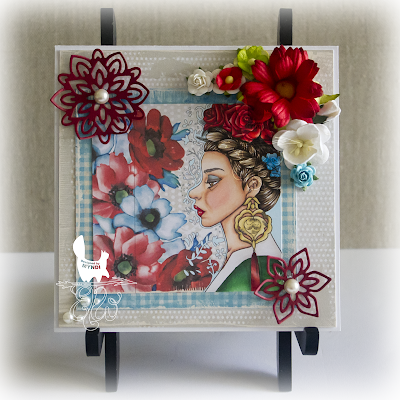 My sentiment stamp is from Kraftin' Kimmie Stamps. The shell is one my oldest daughter picked off the beach when we lived in Florida many years ago. I still have a stash of them in a bucket. (They make me miss the ocean.) I layered the card with cheesecloth, and burlap trim (from Live & Love Crafts). I made the bow from brown raffia. This was my photo inspiration for the jellyfish. I didn't quite get the reddish-brown, but I'm still happy with the outcome. Make sure you check out the showcase HERE. There are some projects from the designers! 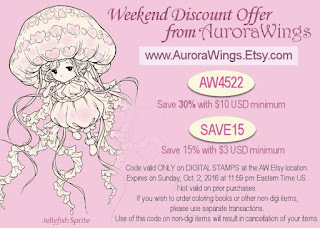 Also, head to the Stamps by Aurora Wings Facebook group to show us your AW makes. We love to see everyone's interpretations of Mitzi's images. 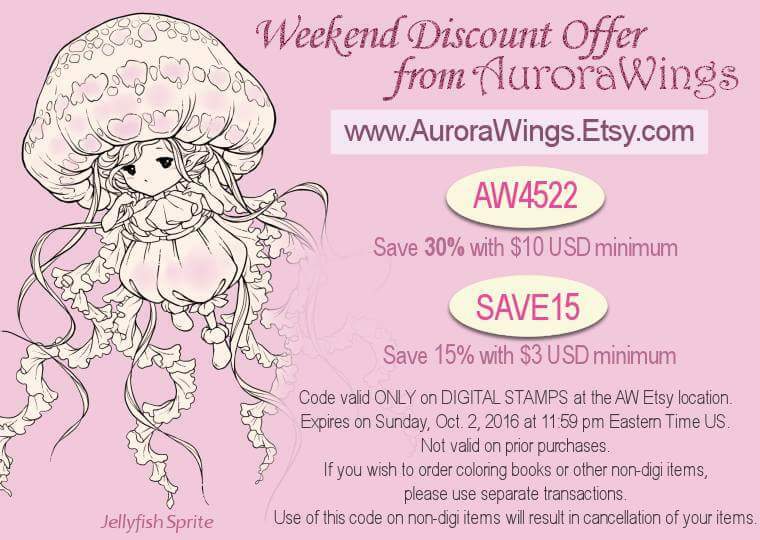 And you can see from the pink and orange banners there are coupon codes and a freebie with a purchase of $10 USD or more (make sure you read all the details carefully). So visit the Etsy shop!!! 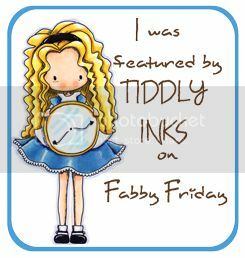 This week I am bringing you a card I made with the "Owl Tree Tag" stamp from Rubbernecker Stamps. I was going to make a tag but I had a mental block. I only got so far as the stamp and inking the edges an d my mind went blank. I hate it when that happens! I searched for some inspiration on the internet, but nothing spoke to me, so I ended up making a card. I heat embossed the stamp with black embossing powder, used Tim Holtz Distressed Ink in Black Soot around the edges.I also used a Skull embossing folder from Cricut. It's the 21st of the month and that means it's time for a new contest in The East Wind's Facebook group!! This month's theme is "Leaf Me Alone". We want you to use a TEW image with a leaf in it, or incorporate leaves into your project. I am trying to get Christmas cards done ON TIME this year, for a change, so I used 'Aurora Holly and Olive' for my card. As I have been doing, I used a sketch from a book a friend of mine is compiling. I think it really helped me with the design of the card. I was able to use a few different papers from my new Stampin' Up This Christmas designer paper collection and the coordinating This Christmas cardstock. I also used the Holly Textured embossing folder for the small circle die cuts and for the red background mat. 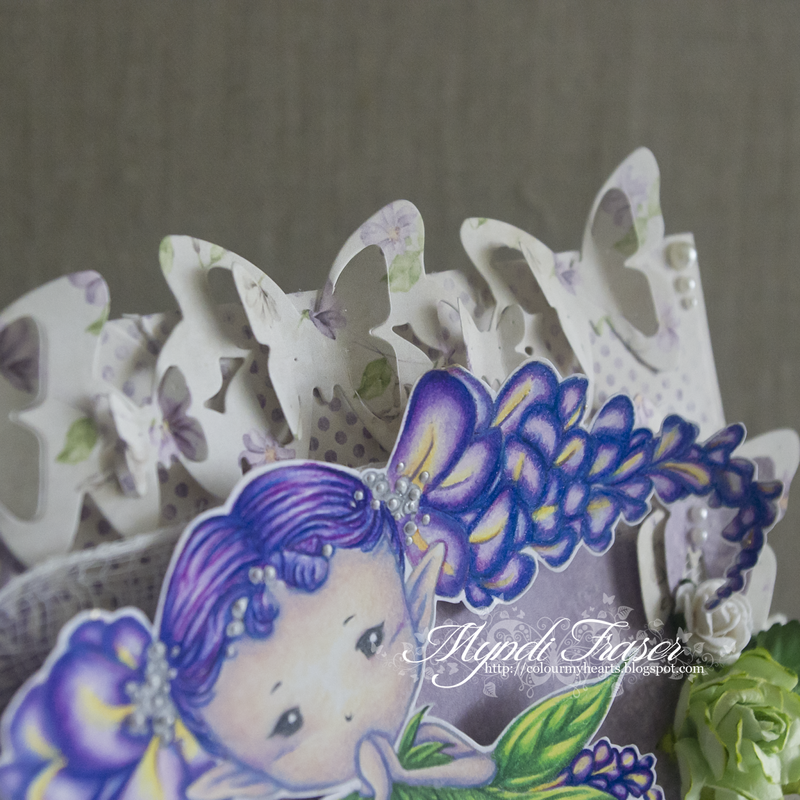 My embellishments are from Wild Orchid Crafts and Live & Love Crafts. I coloured the image with Copics, using E20's for her hair. The berries are R59, R29, R27, R24. I left a little white space on them. I used two different green combos for the leaves since they are different plants. The holly is G99, G29, G17, G05. The olive is YG17, YG06, YG03. Please drop by the Facebook group and join in on this challenge. The top prize is three free digis of your choice, plus there is a winner up prize of a 25% off coupon to the TEW Etsy store. There are also TWICE monthly challenges on the BLOG and a freebie is sent out on the first of every month in the newsletter. Look for the pink box on the blog's homepage to sign up for that. It's new release Tuesday from The East Wind!! Today's image is the line art from a watercolour that Unky did a couple of weeks ago. When I saw her painting, I was hoping we would get line art from it, and we did!!!! Here is my version of 'Mexicana'. I coloured the image with Copics. The paper is digital paper from Michele R Designs called Designer Grunge. I used the Flourish Thinlit Dies from Stampin' Up also, with flowers from Wild Orchid Crafts. 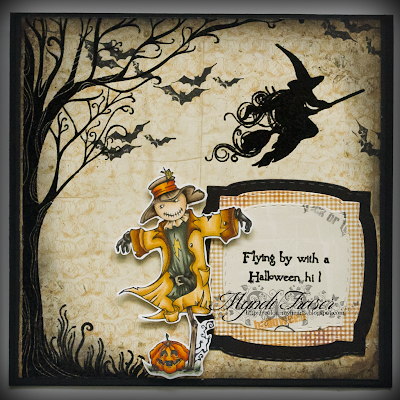 I used Michele R Design Halloween digital paper and By DieZyne stitched circle dies. I used a sketch from my friend Cristena. She's going to be publishing a sketch book in a month or so. Keep an eye open for that; I'll link to it here as soon as it's available. You bet!! There are a whole lot of new Christmas stamps being released by Rubbernecker today and they are AWESOME!!! I had so much fun with nine of these new releases. Here is one of my favourites, Santa With Bell. 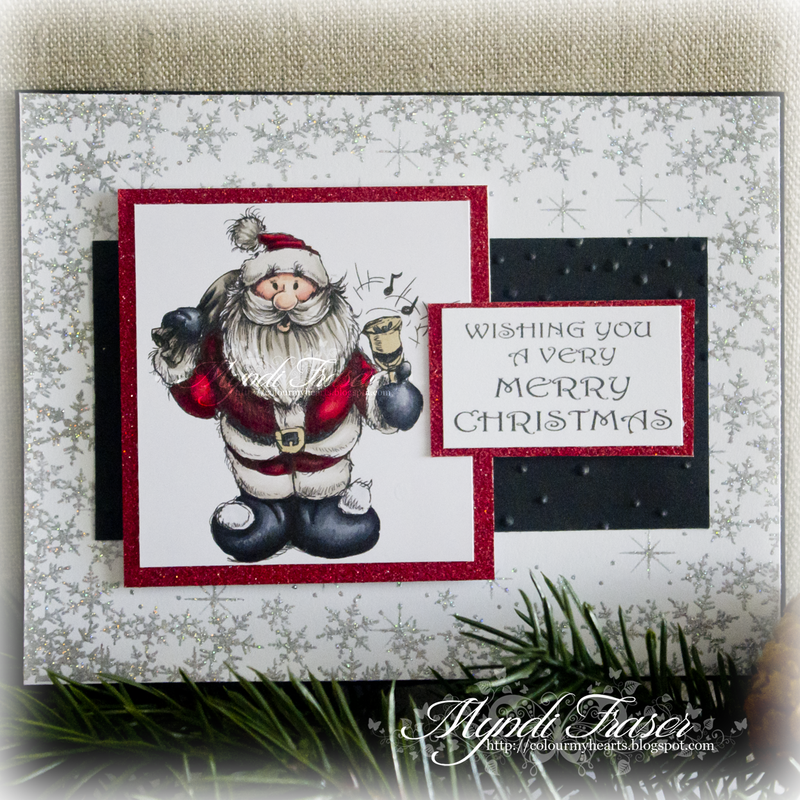 In addition to the Santa With Bell stamp, I also used the Snow Flake Frame stamp, which I heat embossed with Silver Color Box pigment ink and Silver glitter embossing powder. 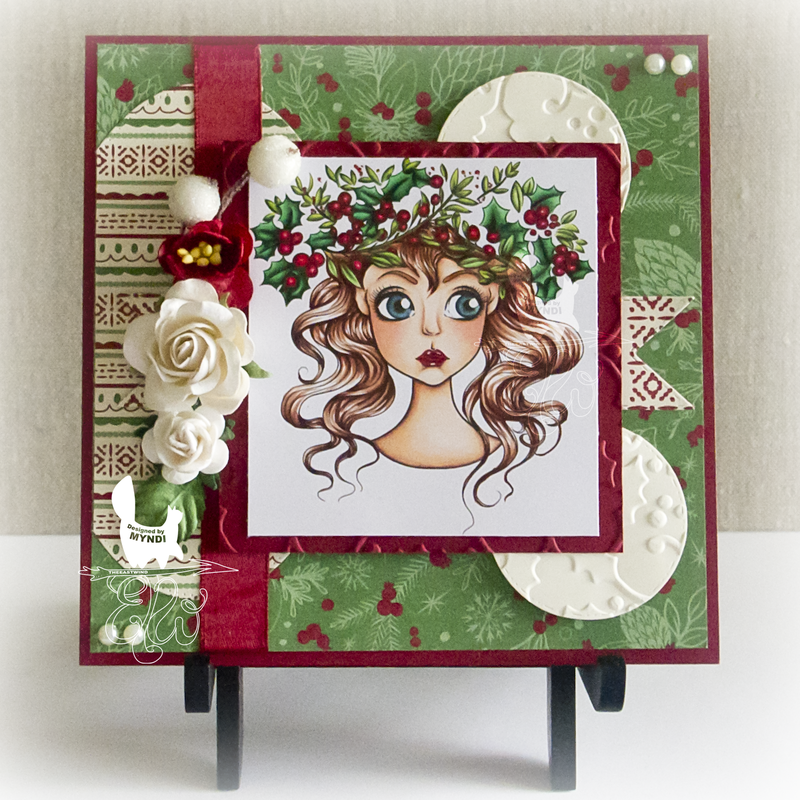 The sentiment is also one of the new Christmas sentiment stamp sets available today from Rubbernecker (set 982). Hello!! 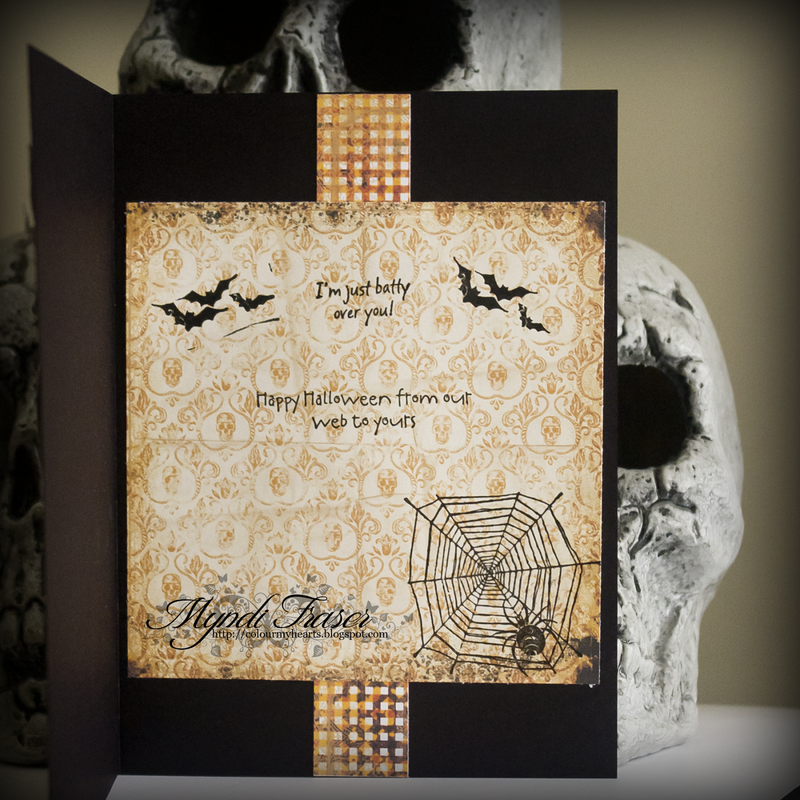 Another Halloween card from me today using THREE different stamp sets from Rubbernecker Stamps. Yes, THREE, so if you are participating in the challenge every week on the Rubbernecker blog this could be a huge haul for you if your comment on my blog is picked this week. I coloured the scarecrow with my Copics. I heat embossed the tree and the witch, then I darkened up the edges of the paper with some Black Soot Distressed Ink from Tim Holtz. The paper is from Michele R Design. It's digital paper you can manipulate to fit your project, which is a huge plus for me. It's all put together on a black card base. There is a new release in The East Wind Etsy store called "Lucy Loo Emoticons". I love this image because of the attitude Lucy has in this image. I said to Unky that Lucy looks mad that she drew her in this hat. She's not impressed with the trend of emoji patches on your clothes, I guess. I have seen it around in the stores too, and I wouldn't wear this hat either. lol! I thought the sentiment came across as sarcastic given how happy she looks. haha!! I coloured the image with Copics. The paper is just scraps from my stash that I embossed with a Cuttlebug folder. Sorry, I can't tell you which one though. I've had it for years, and if it was printed on the folder it's rubbed off now. The sentiment is from Stampin' Up. Make sure you check out The East Wind's Facebook group for monthly challenges, plus the blog for twice monthly challenges. Signing up for the newsletter on the blog gets you a free image on the first of every month, so definitely pop your email in the bright pink box for that!! I am entering this in the Left of Center Feisty Ladies challenge. Today is a BIG BIG day for me!! 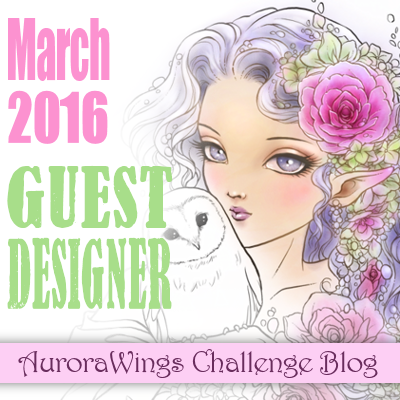 It's my debut as a member of the Stella Design Team at Aurora Wings!! I was so excited when Mitzi asked me to join the team! 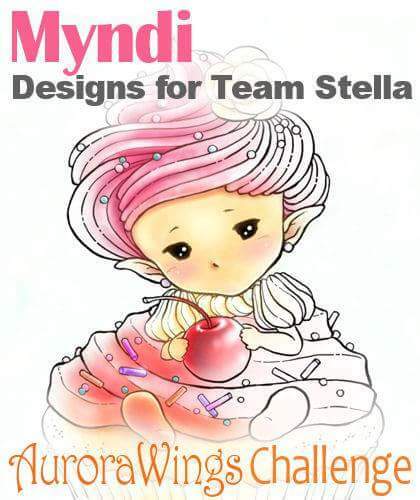 Of course, I said YES, and here I am today bringing you my first project as part of the team and announcing the new Stella challenge theme which is "Fantasy". Most everything at Aurora Wings is fantasy, so the door is wide open for you to create something wonderful with one of her amazing images. I used Wisteria Sprite to make a card. The image is printed at about 5" x 4" and I've mounted it on a 6" x 6" card base. I coloured the image with Prismacolor pencils. A list of the colours I used for her petals and leaves is at the bottom of this post. To colour her skin, I followed along with a Kit and Clowder Create & Learn class from a few months ago. 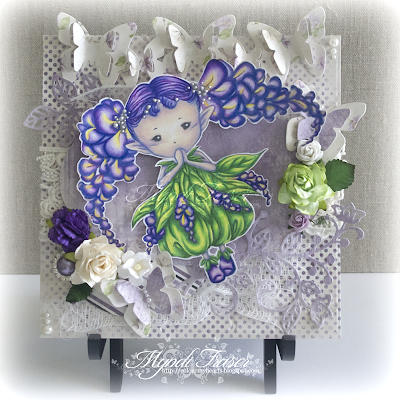 The skin effect in that class was quite luminescent and had that purple undertone that I thought would work well with my Wisteria colours. The purple/blue colour I used on her skin was also incorporated into her petals so it all tied together. All of the paper is from Michele R Design's Sophie Rose collection. 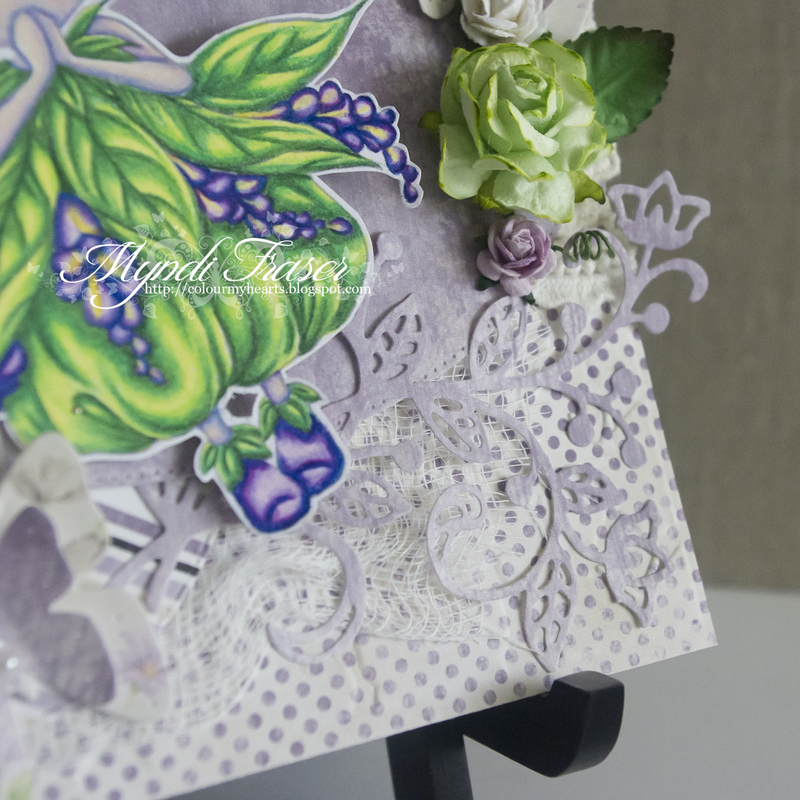 I've used a few different dies on this card including: By DieZyne Butterflies & Puffy Things and Stitched Ovals, and Stampin' Up Flourish Thinlits. I used Liquid Pearls for the little details in the flowers near her hair because I wanted them to pop and I needed the dimensional effect the Pearls gave me. 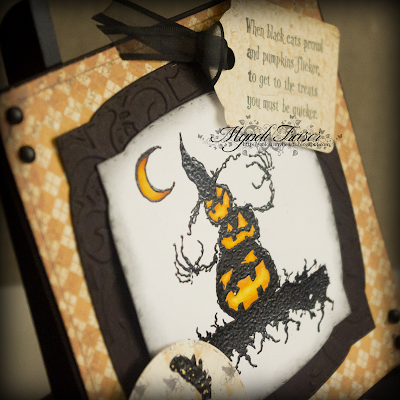 I've layered the card with cheesecloth, lace, and shapes from the dies mentioned above. After I attached the image with foam tape, I added some mulberry paper flowers. As usual, working with pencils is time consuming. It always a labour of love to create something with pencils, but I think it is totally worth the extra time and effort it takes. Please check out the AW blog for details about the current challenge, and check out my fellow team member's blogs too. They are so talented and deserve some love! 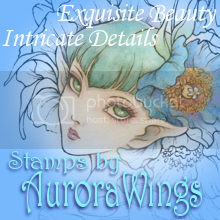 Don't forget that the Facebook group (Stamps by Aurora Wings) has a monthly challenge as well. If you aren't a member over there, go join! There is always some super amazing inspiration! Hello!! 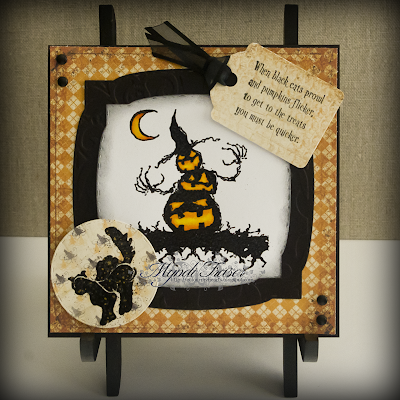 Today I have a Halloween card for you made with two Rubbernecker Stamp sets: Pumpkin Man and Halloween Set 1. Halloween Set 1 is a set of 19 stamps including images and sentiments. 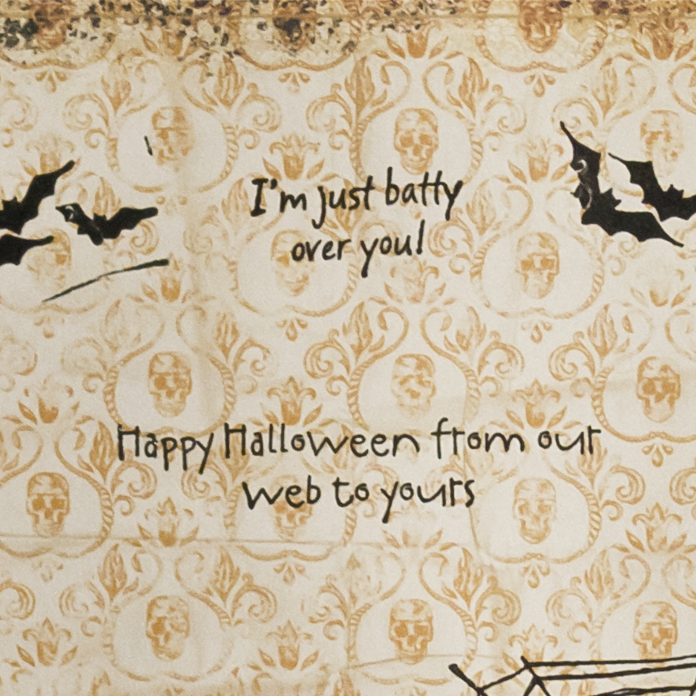 On my card, the cat and the sentiment are from the set and the Pumpkin Man is the focal point. 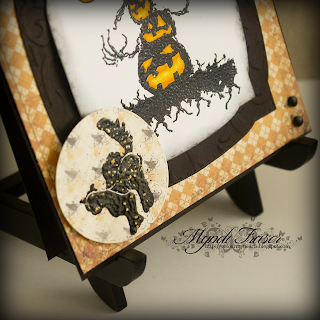 I used a Cuttlebug embossing folder called Skeleton Scroll on the black mat behind the Pumpkin Man. It is easier to see that detail in the picture below. I also heat embossed the stamp with black embossing powder, and then inked up the edges a bit with some Black Soot Distress Ink. I used By DieZyne Stitched Rounded Brackets dies for that as well. 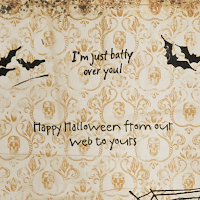 The rest of my paper is the Halloween digital paper from Michele R Design. 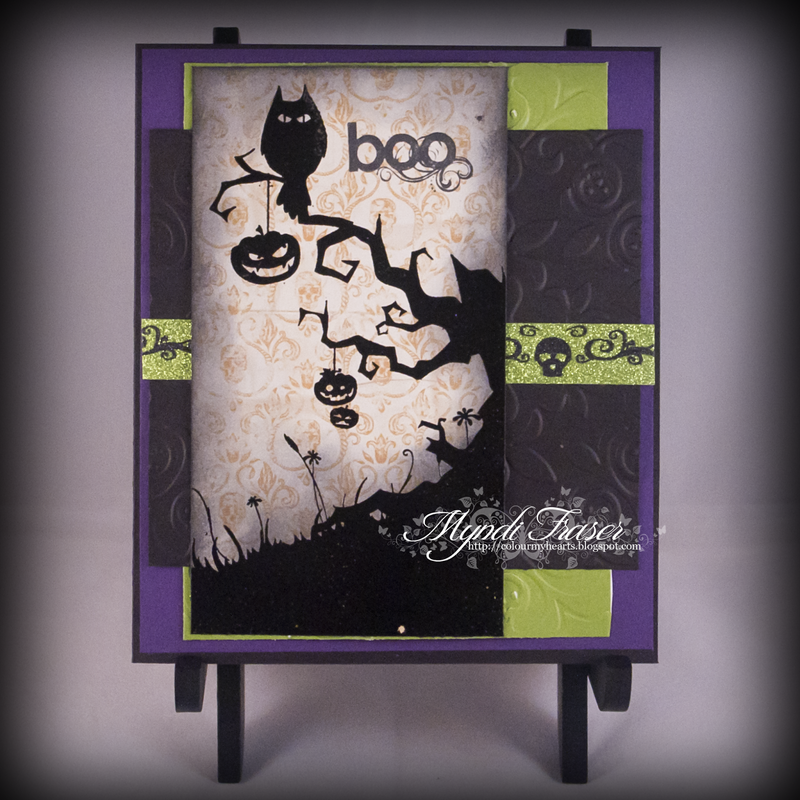 The cat that I stamped from the Halloween Set was stamped with black Memento Ink and then heat embossed with Aged Black Frantage. I used a By DieZyne Stitched Circle die to cut it out. Make sure you check out the RUBBERNECKER BLOG to see the other ladies awesome projects, and the CURRENT CHALLENGE for a chance to win some of the stamps I've used today. It's a super easy challenge (all you have to do is comment on the DT's blogs! ).